Here’s this week’s comic! 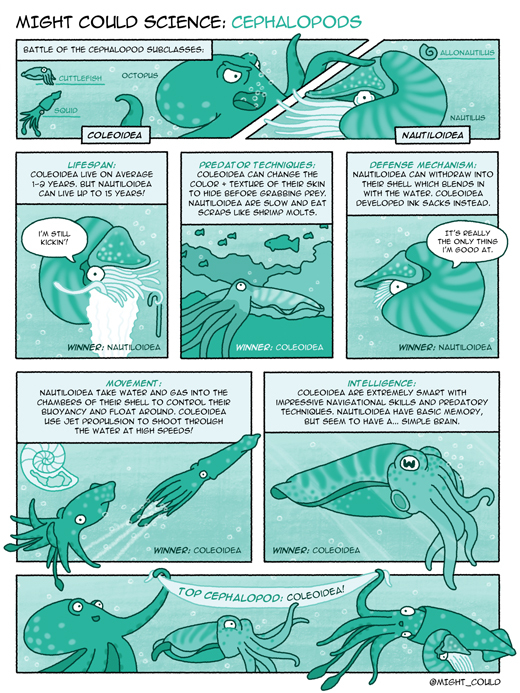 This was inspired #CephalopodWeek that was going on last week, plus I just really love cephalopods—especially cuttlefish! This comic was a lot of fun, and I think its my best one yet. Unfortunately, I’ve been spending quite a bit of time on these, and am going to have to scale the output back to once a month for now. I’m trying to get a couple new Skillshare classes out, and I’m moving this month across the country to Atlanta! So I’ll be back with a new comic the beginning of August coming live from the East Coast! You can follow this comic series here on my blog, as well as on Twitter and Instagram with the hashtag, #MightCouldScience, and you can see detail shots of the comic in my portfolio! 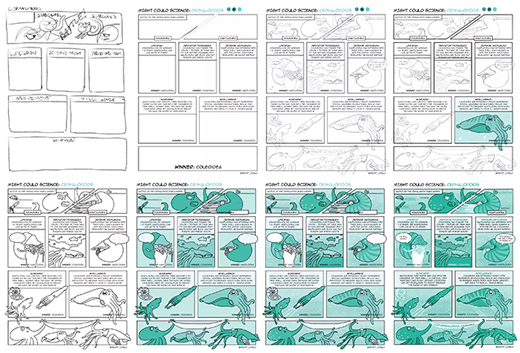 If you’d like to see the full process of this comic, you can download a free guide showing you the step by step process!